It’s not unusual when I am presenting a talk on online engagement to encounter great enthusiasm from people who see this as the ideal way for engaging young people. There seems to be a rather naive belief, that because young people are on online and like to be online, if we just throw all relevant discussions online, they will instantly join in (or something like that). I only wish it was that easy. The truth is the internet is such a broad and deep resource that simply putting information online will not attract anyone. Being there helps. It makes you available. But the real issue with engaging young people has always been they are not even vaguely interested in most of the issues adults want them to talk about. Or perhaps it is the way we frame those issues? Launched in February this year, Safer Care Victoria‘s new Partnering in Healthcare: A Framework for Better Care and Outcomes is ambitiously, indeed courageously, trailblazing positive change in healthcare across Victoria. Digital engagement can help achieve better patient outcomes and improve the overall patient experience. 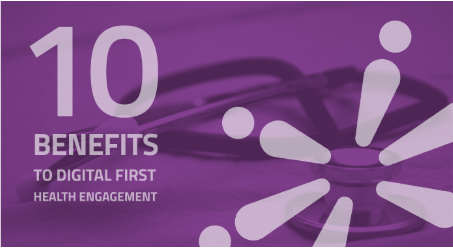 Below are ten reasons to consider transitioning your healthcare engagement practice to an online platform and the value of bringing patient feedback into healthcare decision making. Evidence from health engagement produces eight guiding principles for successful initiatives. Collaborative models of health and social care rely on community engagement to bring valuable perspectives into the design and delivery of services. To this end, inclusion, accessibility, and support are key areas of focus, suggest Weger et al in ‘Achieving successful community engagement: a rapid realist review’. In consultation with a local panel of stakeholders, professionals, and citizens, the authors identify eight evidence-based, action-oriented guiding principles for building better interventions. The review describes the eight principles for supporting ‘meaningful’ participation in health engagement projects. Bang the Table's EngagementHQ is a powerful community engagement software. Online tools that empower governments, municipalities, and organizations to drive public participation and engagement. Put engagement in motion with industry-leading strategy and support. If you only have access to a hammer, you’ll always use a hammer. EngagementHQ gives you an entire toolbox. Our complete suite of listening, information, analysis, reporting and relationship management features enable you to mix and match precisely the right online tools for your community engagement objectives. Low performing public participation functions as a self-fulfilling prophecy in large transportation projects, find Ted Grossardt and Keiron Bailey.